The Sage Built tradition of success as a luxury custom builder in North Carolina is due to the relationships that we’ve built over the years with our industry partners. These local partnerships allow us to incorporate the latest product offerings and green building techniques into our new home custom construction. We select only the most beautiful communities in the Triangle and central North Carolina areas to build our signature luxury custom new homes. Comprised of 49 mountainside lots ranging from just under 1-acre to over 6-acres incorporating million dollar estates, Hamptons Summit is Pittsboro’s newest estate home community. Unique to the North Carolina market, Destin is a luxury community of luxury custom homes offering concierge maintenance services, expertly designed floorplans, and clean, bright finishes. Noted for its incredible beautiful custom luxury homes, Henderson Woods is an intimate development of 17 wooded home sites each spanning 1+ acre(s). Sage Built can build you your custom, luxury dream home home Inside the Beltline, Midtown, or North Hills to the exact, high demanding specifications you’re seeking. Nine secluded homesites located in the Coveted Swift Creek District of Wake County will soon possess incredible luxury custom homes. Build your custom luxury home in this exclusive gated neighborhood, which is surrounded by the fairways of the 18-hole Fred Couples Signature golf course. Annandale is a unique subdivision comprised of large acreage, estate home sites. Heather Glen is a new home community featuring 45 half-acre – 2-acre lots with spacious homes. The Fairwoods on Seven is an exclusive gated, private community located in the beautiful Village of Pinehurst, North Carolina. 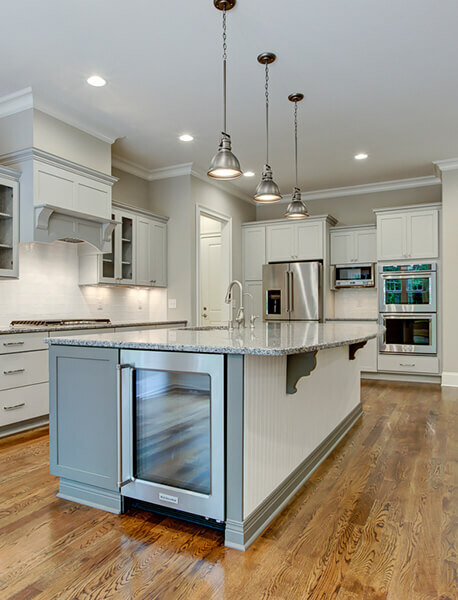 Located in North Raleigh, Wakefield Plantation is a community of fine luxury custom homes and lifestyle you will treasure forever. The Villas at Forest Hills is a luxurious townhome community located within the heart of the world renowned Village of Pinehurst. When designing Eden Ridge, we wanted to create an environment where convenience and nature encompass your lifestyle. Being steps from shopping, eating and entertainment, while having a quiet place within the city to Rejuvinate is what we believe to be the best balance of live, work and play. There's nothing more exciting than a brand-new luxury custom home constructed by Sage Built. We pay close attention to each and every neighborhood where we build finding the right balance or character, luxury, and the finest finishes. With homes in Raleigh, Cary, Apex, Durham, Chapel Hill, Pittsboro, and Pinehurst—we know every corner of the Triangle and central North Carolina and can build you the home of your dreams. Sage Built is proud to be a member of the most exclusive build teams in the area, and we invite you to a complimentary design/build consultation. If you're looking for the best builder of custom luxury homes, contact us today. 919-883-8528.